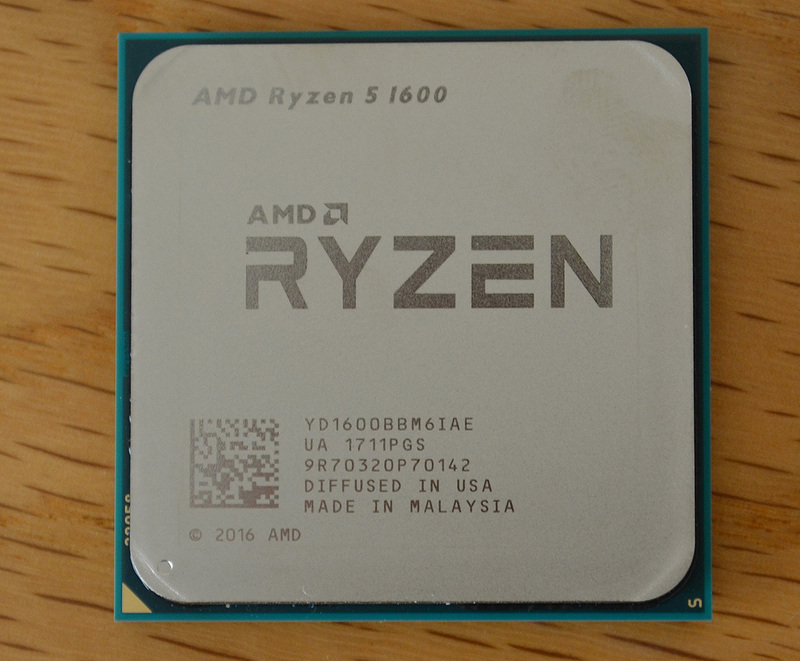 Battle has well and truly been joined in the consumer CPU space since AMD brought some much-needed mojo when it released a series of Ryzen chips. 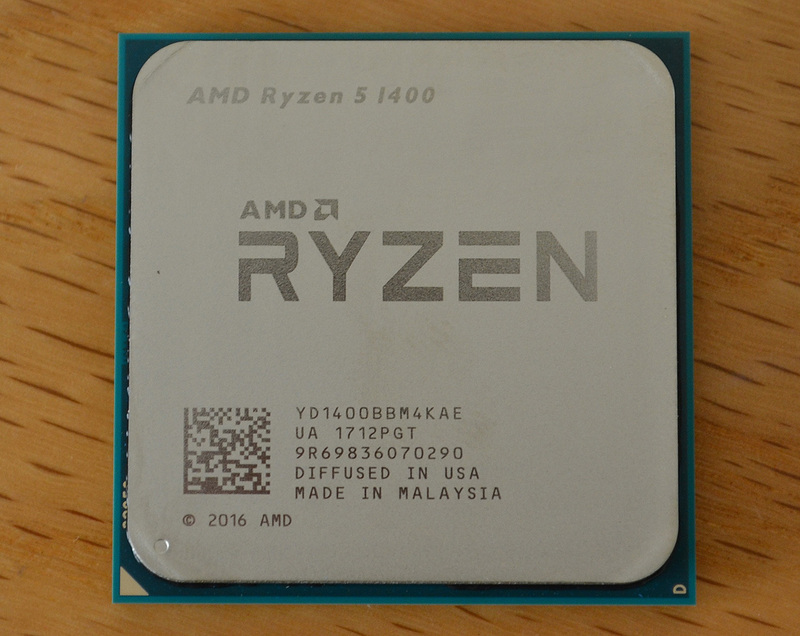 Over the course of the last three months we have seen the Ryzen 7 1800X, Ryzen 7 1700X, Ryzen 7 1700, and Ryzen 5 1600X and 1500X, so all that is left is to take a look at the remaining two - Ryzen 5 1600 and Ryzen 5 1400. And these two CPUs are interesting insofar as they reduce the price of entry to the four- and six-core models, now coming in at $169 and $219, respectively. The familiar table spells out the differences between processors. 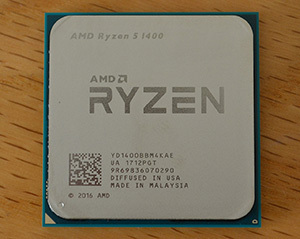 Ryzen 5 1600 is a scaled down version of the 1600X. The reduced frequency, which now peaks at 3.6GHz, means it is about 10 per cent slower than the 1600X. However, one benefit is reduced power consumption, quoted as 65W TDP, so it's more suitable for those of you who want to run six cores and 12 threads in a smaller, space-restricted form factor. Ryzen 5 1400, on the other hand, loses out on both frequency and L3 cache when compared to the next model up, R5 1500X. There's also lower speed potential because the XFR clock, which is an additional boost if cooling is sufficient, is only 50MHz. 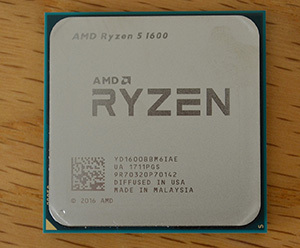 Really, R5 1400 is the runt of the Ryzen litter; it must use the lowest-performing dies off the wafer. In that context, the $20 saving between it and R5 1500X seems rather too small. So why has AMD decided to launch seven Ryzen chips that are, in effect, bunched closely to each other in the financial stakes. The answer, quite simply, has to do with positioning against extant Intel processors. AMD knows that it won't win in lightly-threaded applications but should have a commanding price-to-performance lead when all cores and threads are tasked, because it offers more of each. For example, at the $220 mark, AMD has a 6C/12T topology, compared to a maximum of 4C/4T for Intel. Similarly, dropping all the way down to $170 or so still gives AMD a massive thread-to-thread win, mitigating its lower IPC. One could argue that fitting in more threading capability is easier if the chips' TDP is huge; the older FX-9590 is guilty of this charge. As you know, AMD specifies these two chips at 65W each, meaning the bang4watt, especially for the Ryzen 5 1600, should be exceptional. You shouldn't need over-the-top cooling to keep these latest Ryzen 5 chips in check. AMD bundles the R5 1400 with the Wraith Stealth heatsink whilst the R5 1600 gets the better-performing Wraith Spire. Decent prices and lots of threads are the hallmark of Ryzen 5. With the test system primed and numbers against a vast array of other chips already run, let's see how they stack up against the competition.